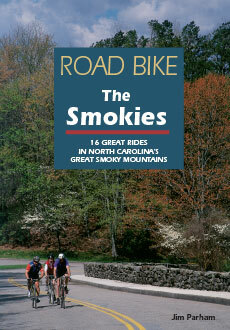 Western North Carolina’s Smoky Mountains offer road biking opportunities rarely found elsewhere. A broad network of backroads will take you rolling through rustic Appalachian communities, over high passes, past rushing waterfalls and along the shores of mountain lakes. 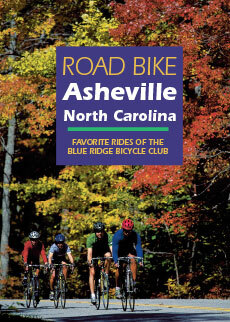 The Blue Ridge Parkway, the new Cherohala Skyway and the Scenic Waters Byway are all located in this region, where you can ride virtually all year long. Road Bike The Smokies outlines 16 of the best routes in the area, rated easy to difficult and ranging from eight to 70 miles in length. As with all the books in our Road Bike series, each route description includes complete directions, detailed map, elevation profile, road surface conditions, mileage and estimated riding times, points of interest and services available along the way. 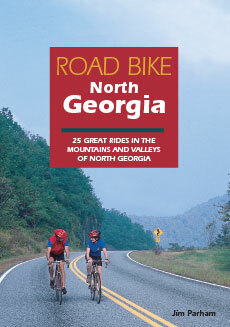 Guidebooks by Jim Parham include: Waterfall Hikes of North Georgia; Day Hiking the North Georgia Mountains; Backpacking Overnights: North Carolina Mountains & South Carolina Upstate; Road Bike North Georgia; Natural Adventures in North Georgia; Mountain Bike Trails: NC Mountains & SC Upstate; Hiking & Mountain Biking Pisgah Forest; and Mountain Bike Trails: N GA Mountains & Southeast TN.